Ayu is asking something incredibly for her birthday present! 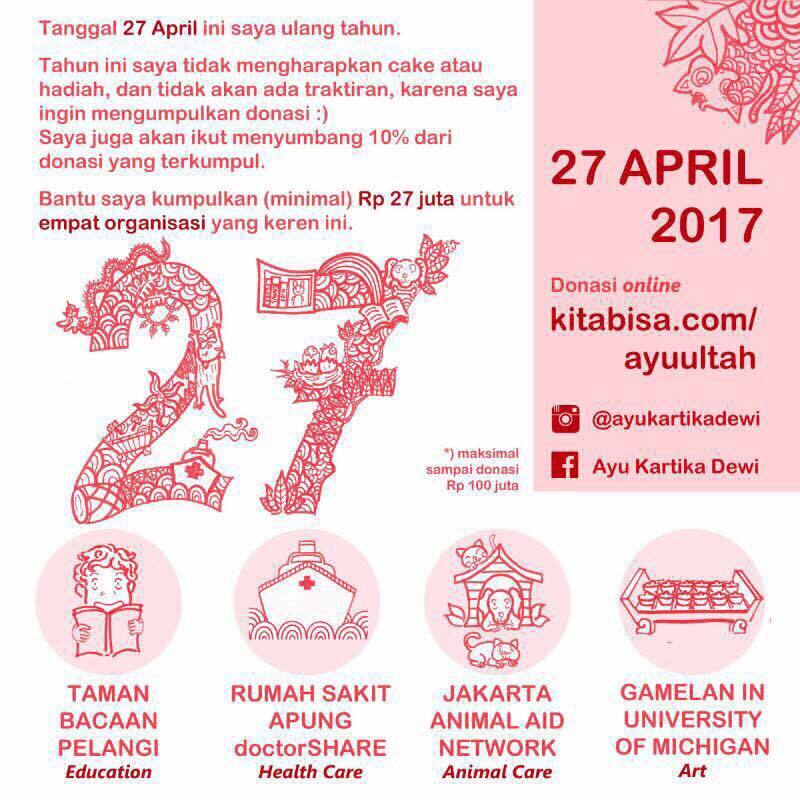 Ayu is asking for something amazing for her birthday, just a simple donation! Help us & many other organizations by donating & joining in on this fundraiser by the 27th of April 2017! The donations are made online through the website below! ← Previous Previous post: DOG ADOPTION DAY @ BEER GARDEN, SCBD.